Glamorgan's ambitions of a semi-final place in the Yorkshire Bank 40 took a major dent with this two wicket defeat by Gloucestershire. 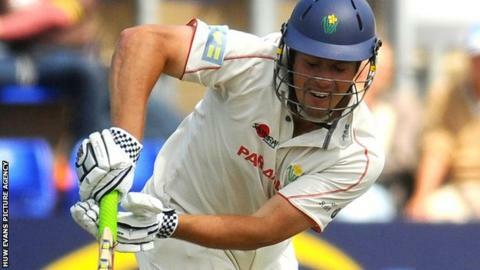 The Welsh county now have to win their last two games to stand any chance of qualification from Group C.
Opening batsman Gareth Rees scored 83 runs off 110 balls, while Murray Goodwin scored 49 runs in Glamorgan's total of 247-7. James Fuller hit the winning run for Gloucester with a ball to spare. Captain Michael Klinger scored 87 for the home side and enjoyed a 100 opening partnership with Hamish Marshall. Dean Cosker finished with bowling figures of 2 wickets for 28 runs from his eight overs for Glamorgan. Glamorgan need to win their remaining games against Leicestershire on 25 August and Yorkshire on 26 August, and for other results to go their way to stand any chance of qualification.